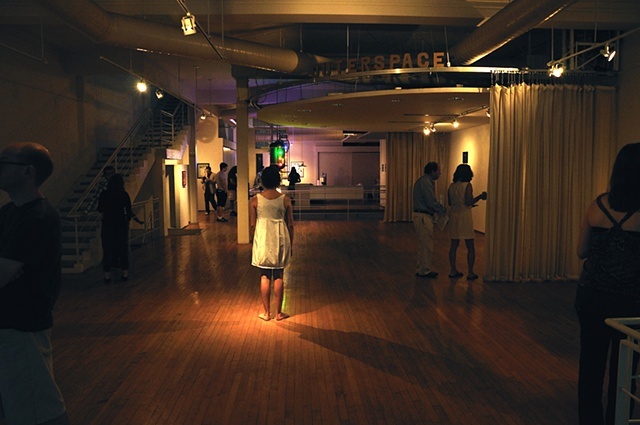 Interactive installation & performance at Outerspace: The American Odyssey, in which the artist remained standing in place, staring at the viewer for the duration of the opening. The installation included a pair of stationary binoculars, focused on a replica of the pleiades constellation (made with googly eyes) directly above the artist. I watch you. You watch the stars. The stars are watching.